Last evening, in what was quite possibly the most eagerly awaited throwback game of the year, the Chicago White Sox turned back the clock to 1976. And it was, for the most part, gloriously garish. Here’s several game photos: click on any to enlarge. The color seemed to match the same hue of midnight blue of those 1976 unis (although the White Sox would wear these uniforms from 1976 through 1981, they changed sock patterns several times, and in latter years, the uniforms took on a much slightly lighter blue than the originals). Of course, in 1976, even though worn less times than one has fingers on their hand, it seems to be a somewhat common belief the Sox wore shorts (the only major league team to ever do so) often. Even a quick google search of 1976 White Sox gives multiple photos of the Sox in shorts. There was, therefore, some initial “hope” the team would don shorts last night. Those rumors were quickly quashed (although there was talk the coaches would wear shorts, which didn’t happen either). One minor trifling point — the Sox wore their memorial patches (for Minnie Minoso and Billy Pierce) on the throwbacks, which they obviously didn’t have on the originals. It wasn’t a big deal, but it would have been nice to have been completely true to the 1976 versions. Hey — if that’s what it took to get to see these uniforms on the field then I’m all for it. But it probably could have been a bit better planned, and they could have selected a team that was around in 1976 and outfitted them as well. Next year will be the 40th anniversary of the introduction of these unis — I hope they bring them back. And with the shorts next time. All in the spirit of 76. Thanks to Brinke for a few of the hi res shots above. ESPN reminder: Paul here. In case you missed it yesterday, my annual college football season preview column is available now on ESPN. Enjoy. Had two designed I wanted your opinions on. The first one being Pats logo and uni redesign. I hate the current flying Elvis logo but know fans are attached after 4 Super Bowls so updated it to actually look like it has something to do with the revolutionary war by adding the hat and hair style. The six stripes coming off the back of the logo instead of the current 3, as well as the 6 combined over the shoulders and down the pants legs represent the 6 states of New England. Wanted these unis to look current but similar to old pat patriot day unis. Next is UMass logo redesign. I hate the current all maroon font that has 3 different levels so I updated it to look like the schools new released logo from 2012 but as an even horizontal line. Love the blog and updates on Twitter. Hope to hear back with your thoughts. I know its late but I really worked hard. Baseball News: “I was at a Pawtucket Red Sox game last week and saw this picture of Jim Rice when he played for the team,” says Stephen Hayes, who adds, “It looks like a 1776 patch, not sure when he would’ve worn this (couldn’t be the bicentennial, as Rice was in the majors in 1976. If it were a rehab assignment he probably wouldn’t be posing like this). Also a different ‘P’ on the hat from what we normally see from that era (the ‘P’ from that time matched the ‘B’ on the parent club cap). All in all pretty interesting I thought.” … The Colorado Rockies have more or less had the same logo and look since their inception in 1993 — this article asks (and polls) would you change the Rockies uni & logo? … The Eugene Emeralds revealed they’d be wearing “Portlandia” inspired unis last night, and here’s what they looked like (via Stefan Boehmer). The actual game unis — and this might be the ONLY time I ever say this — looked better without showing sock. But then, that’s how they were designed … Apologies if this has been posted before (I don’t think it has), but check out this GIF showing the evolution of every MLB Logo over time. At once (from Kristina Cruz). … Oops: St. Louie Cards player Carlos Martinez came to bat without a logo on this helmet last night (via Brendan Surmeier). Seems as though the missing logo returned by the 4th inning. … Check out the hosiery sported by Daniel Murphy last night — too bad it was hidden by his pajamas (nice grab by Mr. DNA). NFL News: This article featuring Frederic Remington’s 1800s American Football Prints is “kinda interesting from a uni perspective,” notes submitter Jonathan Daniel. … The Tennessee Titans’ nose bumpers have gone from flat to raised this year (thanks, Paul). … Take a gander at these beautiful helmet carts (from PressRoomGFS). … The Cleveland Browns will be going with brown jerseys, white pants & brown socks for their preseason matchup against the Tampa Bay Buccaneers on 8/29. … Here’s the 2015 New York Football Giants uniform schedule — note the G-men are wearing their white pants versus Washington and New England (h/t Alex Sinclair). College/HS Football News: Yesterday, the Louisville Cardinals revealed a new uniform, a one-off, to be worn on September 17 vs. Clemson. You can see it here, here, and here are closeups of the jersey and pants (from Paul Murphy). The press release describes them: “Centered around an all-black theme, the jersey features oversized chrome and red metallic numbers, accented by chrome and metallic red wings on the shoulder pads. Additional detailing includes the use of Louisville’s signature Old English font to highlight player names on the back of the jersey, along with a matching oversized Old English ‘L’ logo on the pants. Further infusing the all-black theme with traditional Cardinals’ colors, an oversized red translucent Cardinal logo is prominently displayed on the black glossy and metallic red helmet.” … Commie Football is creating a “helmet color stripe” for all 196 American college football teams in Tiers 1 and 2 of PUACF, for identification purpose on its site. Every team stripe is representing official school colors, “in some case reverting to superior colors from past era of team history (such as Pitt Panthers),” says submitter Georgy. … For the first time (ever? ), the UNC Tar Heels are going color vs. color in their September 3rd game versus the USC Gamecocks (here’s the tweet that mentions the first time bit); h/t to James Gilbert. … Ferris State has some new uniforms (h/t Paul). … Here’s a look at Valpo’s new white uniforms, which they’ll wear this season (h/t Paul). …. Andrew Lewis is honoring WDBJ Channel 7 Adam Ward’s memory in its season opener. Ward played at ALMS (h/t Clark Ruhland). … Not only do the UNC Tar Heels have new unis this year, their equipment truck does too (via James Gilbert). … Idaho State has revealed new all-orange uniforms (h/t Kyle Franko). … Will one of the unrevealed alts for ASU be another “Desert Fuel”-type uni? (via Joey Artigue). … In news that we all knew two weeks ago, Jim Harbaugh ‘finally’ confirmed Michigan will wear 1974-esque all white unis on the road this year. … Hmmm — this flyer for Alabama/Wisconsin watch party has Bama wearing black face masks (from Christian Moffett). This led to a a bit of an awkward word wrap on Tweet Deck (as pointed out by Shaggy Matt). Basketball News: “Life imitating logos” read the subject line of Saurel Jean‘s email. “Does this remind you of anything?” Whoa. Do the Milwaukee Bucks get residuals on this? … Does this photo show new unis for Michigan State hoops? (h/t Spartan Jerseys). Here’s what their 2014-15 unis looked like (h/t Mike Cooper). Hockey News: “I found this 1977 Phil Collins interview wearing a Toronto Maple Leafs #7 Lanny McDonald jersey,” says John Chapman, who adds, “Pretty strange. I wonder what the connection is.” … Tyler Earles designed his first specialty jersey which will be worn by the Knoxville Ice Bears on October 24th. … The Dallas Stars, Dallas Mavericks and American Airlines Center have signed a multi-year partnership with Lexus (via Landry Heaton). Also from Landry, here’s a look at the Texas Stars ice. … New jerseys for the Tri-City Americans. Soccer News: Real Madrid have revealed their third kit (via Tim Cross). Also from Tim, here is a look at the new Manchester United third kit. … Borussia have unveiled their new 2015-16 Champions League kit (thanks to Ed Å»elaski). Grab Bag: AC/DC are selling sports-themed jerseys at concerts. The jerseys sold correspond to the host city (h/t Patrick O’Neill). … “An American student who helped stop a terror attack on a Paris-bound high-speed train said Wednesday it’s been a “crazy few days” and he is happy to be home,” says Chris Flinn. “Anthony Sadler spoke briefly during a news conference with Sacramento Mayor Kevin Johnson, who presented him with a basketball jersey.” … In addition to the JMU-branded NASCAR unveiled last week, BK Racing driver Matt DiBenedetto will be sporting a fire suit and helmet combination that features JMU prominently when he competes in the Federated Auto Parts 400 on Sept. 12 at Richmond International Raceway (from Andrew Rader). … In response to the horrific shooting of a newscrew in Virginia on Wednesday, TV journalists and local news stations are using “Color Bars” as their Twitter and Facebook profile pictures” (from Booted Newswomen). And that will do it for today — and this week for me. I had thought my weekday run would end today, but Monday is still August, so you’ll have to put up with me for one last weekday (until next August). Got some big things in the hopper for college football season, including a new 5 & 1 grader. On Monday, I’ll announce the lineup. Paul will be back tomorrow and Sunday, since webmaster John Ekdahl and his lovely wife Amy were blessed with the birth of their second child this week. Congrats to John & Amy and their new son. The patch on the Jim Rice jersey says “ri76,” so it must be a Rhode Island reference (as that is where Pawtucket is). Not being a New Englander, I’m not sure what it’s in reference TO, though. I would assume someone else who GETS IT will know. Friendly math reminder for this time of year: Dark football jersey + dark football pants = high-school football. Rice is wearing the uni with the “r176” that the all the PawSox wore in 1976. The Red Sox wore the patch in 1974 in Boston. Some unis were sent down to their minors after 1974 and this could be Rice in one before he was brought up to the bigs. Hey Paul! Thanks for the shoutout! Just wanted to clarify that’s it’s my first specialty jersey for this year, not my first altogether. This will be my second full season of Jersey designs for the Knoxville ice bears. I was at the game last night & they looked great. One minor difference I saw was that the pants were actually belted, not the sansabelts like on the originals. The 1980s throwbacks do the same thing, using belted pants instead of the authentic pants at the time. The player profiles on the scoreboard actually super imposed the hats at the jerseys of the era on the players too which was a nice touch. The local TV broadcast showed old Sox promos from the era as well. Didn’t the original jerseys have scalloped tails, like an oxford shirt? Or is that my imagination? Over time, as the jerseys went from polyester to a nylon mesh (look at a photo of Carlton Fisk in the road blue to get a better idea), the jersey morphed into having more of a scalloped tail. As stated above, a more accurate look would have seen the players’ names done in a larger font, equal to the size of “CHICAGO” on the front, and slightly shrinking the number. But in all, a solid A- reproduction. the MLB team logo evolution gif was JUST posted yesterday. Just to clarify, it’s Borussia MÃ¶nchengladbach that have the new Champions League kit. I mean it’s a moot point anyway considering they are the only one of the seven teams that bear the “Borussia” moniker to qualify for the Champions League this year, but it seems very ballsy of MÃ¶nchengladbach to lay claim to being the Borussia, especially considering they are less decorated than Dortmund and currently 50 places below them in the UEFA rankings, not to mention googling “Borussia” brings up a load of Dortmund stuff first. I wasn’t a huge fan of those Sox unis when they were fresh but they make for a fun once-a-year throwback. And it’s nice that they went the extra mile on the ‘small touches’. Well Done. re: the patches…I think that if you are honoring someone with a patch you don’t leave it off just because of a promotion. I’m glad they used those patches. Agreed–Not to mention the fact that one of the players who those patches honor (Minnie Minoso) actually wore that ’76 uniform back in the day. Re: Phil Collins and the Maple Leafs jersey, I can say as a Genesis fan that there are a good number of pics of the band circa 1976-78 with members of the group in hockey jerseys. I’m guessing they took the jerseys they were given when visiting an arena and actually went so far as to wear them onstage and in promotional situations, instead of just being quickly stored/given away. I thought this was pretty good, but it doesn’t look like Junior’s hat matches the original. The player in that UNC graphic is a terribly done photoshop. The helmet is all sorts of terrible and you can see flywire that doesn’t even exist on the jersey. Here is some video of those terrific helmet carts (at the 1:20 mark or so). I think the photo and this video have been posted on UW a number of times in the past. ’76 White Sox were way ahead of their time. Still are. The beauty of those unis will live on for eternity. Maybe one day, teams will realize simple is better… and the details on only a few intricate designs go so much further than colored pinstripes, clock-font numerals, and gradients with silly mascots. While the White Sox didn’t wear shorts, I feel like they did a great job of wearing really high socks to the point that it almost looked like they were in shorts – at least by 2015 standards. I know – it’s not the same, but I’m also guessing there was a reason those shorts didn’t survive on the field any longer than they did the first time around. 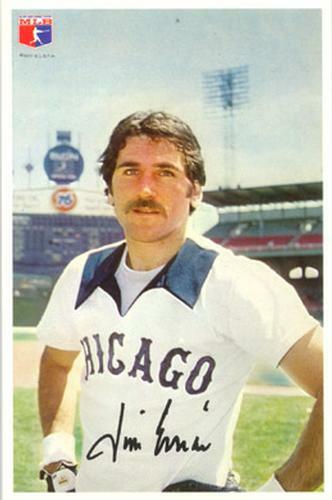 For the record, in the period the White Sox wore that style (1976-1981), they wore shorts a whopping three times. Should they bring them back in either 2016 (40th anniversary of the style) or 2017 (40th anniversary of the beloved South Side Hit Men), leave the shorts in the past. Aye chimunga that is long list of college uni changes!! My “page down” finger is worn out. Spasibo to Uni Watch for kind mention of PUACF helmet color stripes. In world of Commie Football, is never black words with black stripe on black background (or gray on gray on gray) because this is ridiculous uniform desperation gimmick, and embarrassing signal of program weakness! Proshchaniye! A couple of observations. The jersey has a tag on the lower left of the front of the jersey. Was the jersey tucked in? There is a crease across the lower part of the jersey as if it was tucked in. And, looking at the font of the NOB, it doesn’t look like the same font as the rest of the NOBs from that era. I know it was for a Japan tour, but I wonder if these jerseys were worn tucked in. Well done Erik. While I hate Flying Elvis in general, your redesign at least improves it significantly. The only flaw in the Sox uniforms (in the original) is that the collar does not go all the way around the shirt. A full collar would have made a good jersey much better. I really like the sleeve stripe on the black Louisville jersey. They should integrate that feature into their year-round uniforms, though in college football, regular uniforms are sort of a quaint notion. Also, while those white Valparaiso suits are pretty, those gold numerals are going to disappear in game conditions. Don’t these issues come up during the design phase? Lastly, big ups to those Ferris State unis. Those are nice. That Bama/Wisconsin poster is odd. That isn’t an official Badger helmet. This poster is obviously a promotion for some kind of tailgate party, not necessarily sanctioned by either school. The bar or venue didn’t want to pay licensing fees to use the exact rendering, so they got the point across without violating or paying. This is a common occurrence. Not necessarily good or bad, but common. Maybe I am in the minority, but the fact that my memory is so vivid for all uniforms of the 70’s makes it so when I see the NOB about an inch shorter than the original, my mind immediately says WRONG. I missed my calling. If I were the one recreating these jerseys, I would get an original, measure it, and try to get as close as possible. 1) The font used for the player names, while accurate, seemed a little smallish (the comparison pix illustrate this). 2) Not every Sox player had the Billy Pierce patch – take a look at Tyler Flowers’ right sleeve in the pictures above and compare it with Don Cooper’s a few pix below. I also noticed that Melky Cabrera was missing his. I recall reading about how the Mariners wore their jerseys un-tucked in the first turn-ahead-the-clock game until the opposing manager complained to the umpire that the batter had an advantage and could more easily get a hit-by-pitch call. Given the size of the Chicago throw-back jerseys last night, wonder if that came up at all? Paul, you made a typo on Jerry Sandusky’s name on the ESPN college football article. You have “Gerry”. We’re both carbon-based lifeforms but the similarity ends there. Tom is an artist/designer. I’m something else. One thing I loved about the Sox uniforms from last night is how close that set was to being an amazing classic. If Bill Veeck had gone with a V-neck, those uniforms would have been adored. I think so tailoring on the jerseys would have been great. If you make them fit more like soccer jerseys, which are also usually worn untucked, then you’d see a much better look. The midnight blue pants are genius. It radically solves multiple problems when it comes to dressing a team in white hose. Firstly it solves the undersleeve problem. Undersleeves are supposed to be the same color as the socks for continuity and contrast with the uniform and with rules against white undersleeves for pitchers, its tough to get that with a typical baseball uniform. However by making the pants the same color as the undersleeves you get a very similar pattern of color blocking. In effect the shirt/sleeve combo is just the reverse of the pants/socks combination. Now all this mold breaking is happening in the uniform itself (the color, the hem, the pants) and not just from a wacky color scheme. In fact with the scheme being just blue and white provides a calming influence. A lot of uniforms from that era were brightly colored or had odd logos but that style was just imposed on a fairly conventional silhouette. Sure you get pullovers and sansabelts but by the late 70’s it had been around for a while. These uniforms were truly creative. A way of thinking beyond what a baseball uniform could be while still showing restraint. Can’t wait to see these again. From a “Thinking outside the box” perspective, those uniforms were great, then and now. The away version of these uniforms had a white undershirt. It was deemed legal then, even for pitchers. While Billy Martin forced the White Sox pitcher to cut his undershirt sleeve off on the Sox’ first trip to the Bronx in 76, the Anerican League subsequently announced that the white undershirt was perfectly legal. I’m not sure if they’ve subsequently changed the rules to ban it. Just looking at MLB’s current rulebook and there seems to be no explicit rule against it in their uniform code. So hey maybe they can bring back the road version some day! While I agree that most of the fine details were met with satisfaction on the SOX uniforms, I think it unconscionable that they players were permitted to wear them so large and baggy. It totally changes the look of that uniform and is no different in my eyes than it would be to throw back to a time when beautiful stirrups were in vogue, hit all the nuances of the uniform, then allow the players to wear pajama pants. Unfortunately the sizing of those jerseys makes them look like nothing so much as a beer-league softball team. That, or I suppose the White Sox could just have a bunch of fat shits on their roster. The contest was in 1981, the first year that Jerry Reinsdorf owned the Sox. They changed their uniforms for the 1982 season. The Mariners were so impressed with the White Sox throwbacks last night they decided to fire their GM this morning. …I thought Alabama fans were wearing “masks” with “black face” characters on them (which, sadly, could be possible nowadays). Some items, and some educational guesses from a native Rhode Islander. 1. The patch is definitely RI (for Rhode Island) 76. Anything they could brand with this within the state of RI they did. 2. The Boston club would not have worn this patch. During the 75 and 76 season they had a Mass Bicentennial patch on their uniforms. 3. Although I can’t find photographic proof I remember that for a couple of years during the 1970s the cap for Pawtucket was different from the parent club. They would probably have gone back to wearing the P based on the B on the Boston cap when Ben Mondor bought the team in 1977. As far as why Rice is wearing the uniform I don’t have a clue. I don’t remember him playing for Pawtucket that summer. Rice’s uni in the pic is consistant with what the PawSox wore in 1974 with the patch. The 1973 unis had no patch, but a similar cap logo, but sans-serif. The 1975 and 1976 sets got a bit crazy and the aforementioned ri76 logo made its way onto the cap. One can sort it out with “The Pawtucket Red Sox” by David Borges. 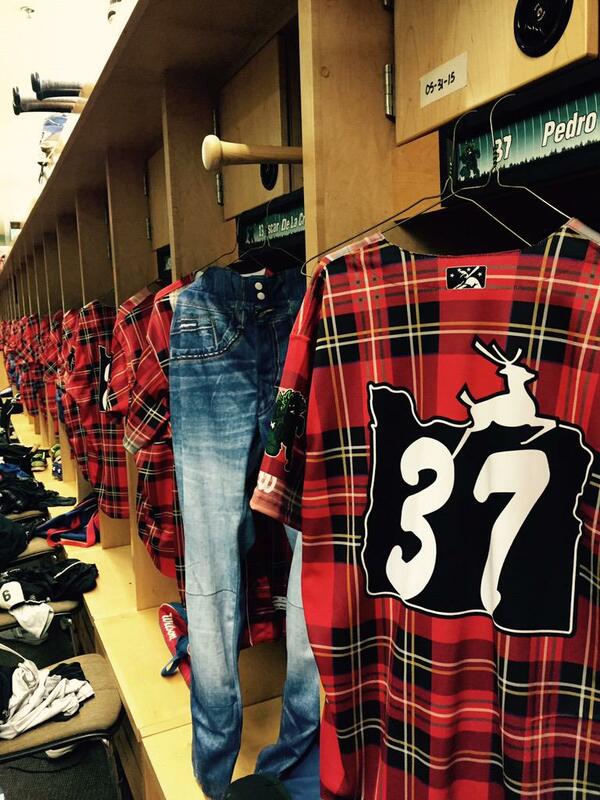 scottrj, that is a cool picture of some of the samples of what’s become the “beach blanket”/ “Winning Ugly” uniforms. My mom was a freelance artist and sent in a design that was very similar to what the team eventually wore; the main difference was that the stripe in the middle would curve under the armpits and attach to the pant stripes. It was good enough to get a thank you letter from Mary Frances Veeck herself. Someday I’ll figure out a way to present it here, was really interesting. As for the “1977”s (I call them that because they sucked something rotten in ’76), I agree with the collar looking unfinished. Looks like two random flaps and it didn’t look good on those who are thin and wore it a bit low to see how silly it looked. Goofy patterns notwithstanding, what bothers me even more about Manchester United’s new third kit is that adidas appears to have been unable to match the black on the shorts to that on the shirt. It’ll be interesting to see it in action on field, as well as if they pair those shorts with the red home shirt (instead of the more normal second-choice shorts) when the white shorts are deemed to clash with the home club’s. Seriously, that’s a normally a purple problem (Lakers & Jazz). The whole soccer section should have been titled “Champions League goes BFBS.” Bayern, Chelsea, and Juventus were also featured in my World Soccer Shop email today. I was surprised that MLB and the umpires allowed the White Sox to wear their jerseys so baggy. Umpires usually view untucked jerseys as advantageous towards getting hit by pitches.